After two years as the service manager for Sheffield Libraries Archives and Information service, helping steer the service and staff through some pretty challenging change, it now feels like the control knob of ‘perpetual change’ has been dialled down from ‘11’ to somewhere nearer to ‘manageable’. Once you’ve stopped running flat out and you’ve managed to catch your breath, you start to think ‘what’s next?’ Are we fit enough for the challenges ahead? It looks like the financial pressures aren’t going to ease up any time soon, so we need to develop ourselves and keep testing if we are ‘fit’. You can’t change the direction of the wind, but you can learn to tack better! So I thought where can I go to learn how to steer a ship better? Where else but the Libraries Taskforce! After talking to previous Taskforce secondees about their experiences (who were overwhelmingly positive about their time), I decided to respond to Kathy Settle’s shout out for a new round of secondees. Being a relative newbee to libraries, with only two years in the job, I wondered if I was experienced enough. I talked to my management team and they told me to go for it - ‘what we’ve been through in Sheffield will be great grounding and experience you can feed into the Taskforce’. I hope to bring a wide set of other experiences to bear too; a previous career in electronic manufacturing, change and performance management roles in various councils and, more recently, in adult social care, helping families of children with disabilities navigate the difficult transition to adulthood. 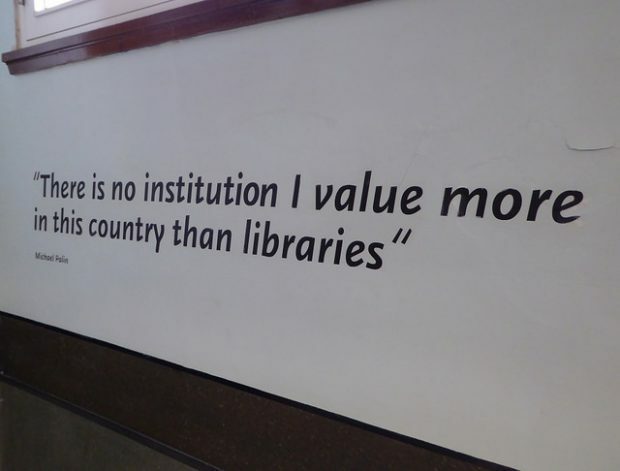 I’ve grown to really value what libraries do for communities and individuals, and I think that perspective of being a Local Government member of staff who was pretty ignorant of the impact libraries have on people’s lives is worth bringing to the table as well. I hope to continue to enhance my knowledge of the libraries sector and the challenges it faces, and now be a part of knitting that future together with a Sheffield thread running through it. So one of my objectives for putting myself forward for the Taskforce is to find out what’s on the horizon for my services and bring that back to the ranch. I sold the secondment to my senior management on the basis of Sheffield being ready to play our part in securing libraries services’ future - and we can share and learn lots too. Often I find the staff in my libraries treat the extraordinary impact they deliver for people as ‘everyday’ and ‘just what we do’. I want to be able to relay those examples of changing lives that I have seen, and to identify and shape opportunities (and dare I say resources if there are any going!) to secure and enhance what we do for the people and communities in Sheffield.